How to Look Good for the Holidays…FAST! Laser technology is one of science’s most exciting and innovative achievements. 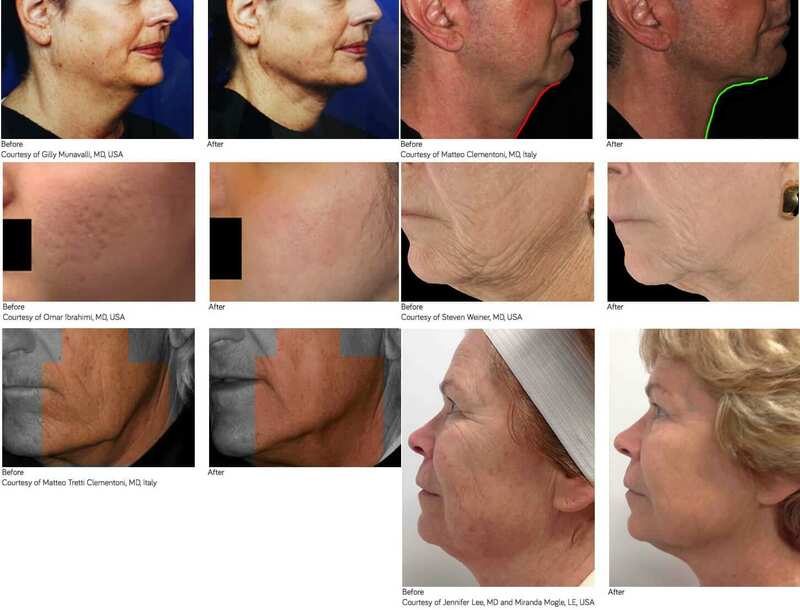 One of the lasers Dr. Wald utilizes for laser skin resurfacing is the ultrapulse carbon dioxide laser, which treats sun-damaged skin, facial wrinkles, scars, and other minor skin imperfections, especially around the eyes and mouth. Some of the benefits of laser skin resurfacing include less pain, a quicker recovery, and, in many cases, a lower cost. The amount of improvement that can be achieved varies depending on the condition of the skin. 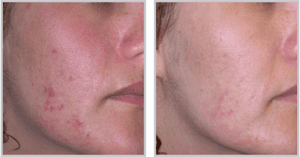 However, laser skin resurfacing can significantly improve damaged skin and produce dramatic results! The Sciton® laser is one of the most advanced and cutting-edge technologies for facial rejuvenation. In addition to effectively treating resistant active acne, acne scars, skin spots, photodamaged skin, and wrinkles, this fractional laser also reduces non-cancerous pigmented and vascular lesions while tightening the skin. 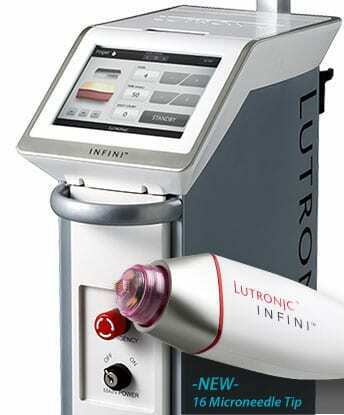 The Sciton® laser is excellent for treating the neck, chest, hands, and arms. Best of all, it is safe for all skin types and requires no downtime. The Aesthetic Institute offers a full variety of facial peels to help your skin looks its best. The glycolic acid peel provides excellent exfoliation and is designed to minimize the appearance of fine lines while improving the tone and texture of your skin. This superficial peel works well on almost any skin type and is customized for your individual needs. This peel helps correct the appearance of aging and sun-damaged skin. In addition to exfoliating the skin, this treatment stimulates your body’s natural process to rejuvenate and tighten the skin. This advanced line of skin care products is designed to correct previous damage to your skin while also protecting healthy skin and preventing further damage. We offer a complete system for maximum improvement to your skin’s health. 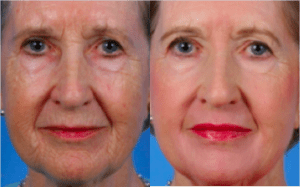 This system provides facial rejuvenation and reduces photodamage. These products contain quality ingredients that have been clinically proven to reduce the visible signs of aging, including antioxidants, soluble collagen, cytokines, natural growth factors, and matrix proteins. This system is specially formulated to penetrate your skin at the cellular level to correct damage and make your skin healthier and younger looking. Whether you have a holiday party to get ready for or are just wanting to rejuvenate your appearance, Dr. Robert M. Wald and his staff at The Aesthetic Institute are dedicated to providing you with the latest and most effective skin care treatments available that can help you look your best FAST! To schedule your consultation regarding our many facial rejuvenation procedures, please call us at (888) 401-2808 or fill out our online contact form. We look forward to helping you put your best face forward this holiday season! This entry was posted on Wednesday, December 4th, 2013 at 7:59 pm	and is filed under Laser Skin Resurfacing, Skin Care.